The polycarbonate panels are fastened to the underlying structure using specific brackets, which must be anchored to the purlins using suitable self-drilling/self-tapping screws (on metal structures) and tap bolts (for wooden structures). 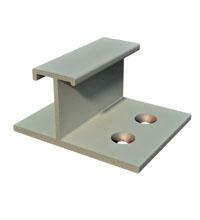 These screws and bolts are not supplied. 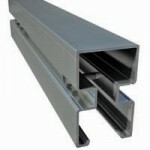 Different connector profiles can be used, depending on the required load specifications. 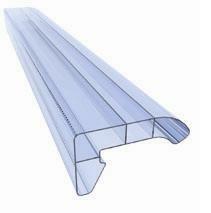 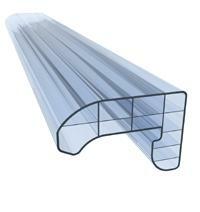 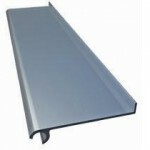 The modular polycarbonate panels can be used to create flat or curved roofing. 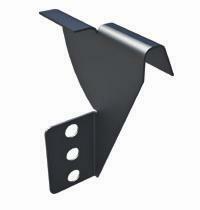 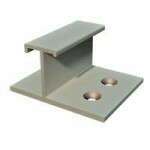 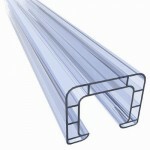 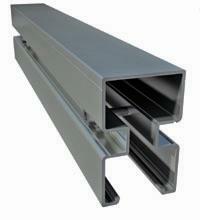 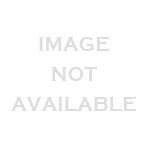 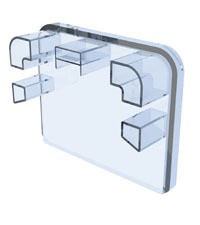 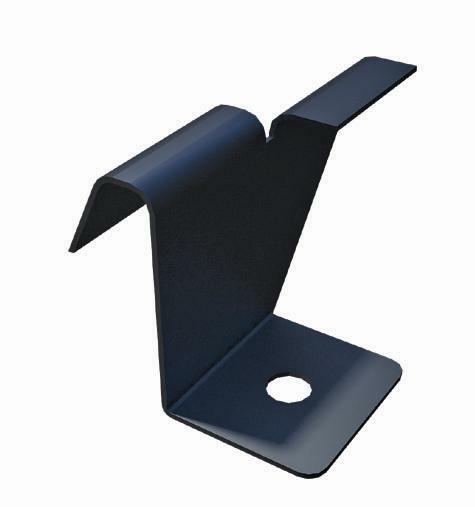 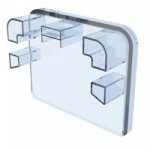 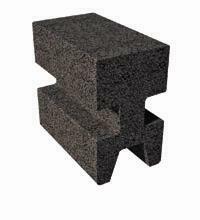 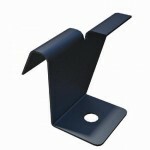 They are fixed to the supporting structures using specific aluminium brackets. 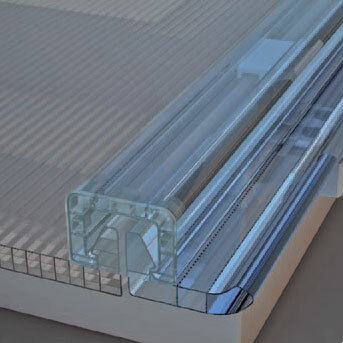 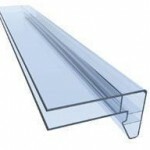 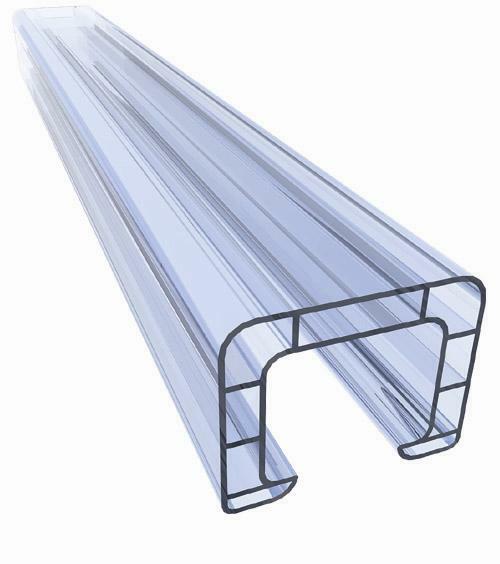 Depending on the load capacity values required, or the distance between the purlins of the underlying structures, either polycarbonate cover plates can be used or, for greater strength, aluminium connectors. 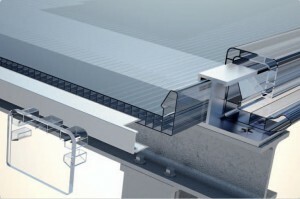 Detail of Complete System. 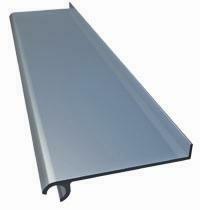 Start profile with panel, cover plate, plate and air cell cover profiles. 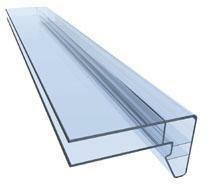 Start Profile. 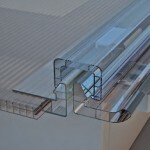 Detail of insertion of start profile on roof. End Profile. Detail of insertion of section-breaker profile to complete roofing. The arcoPlus® system includes a complete range of accessories to facilitate installation. 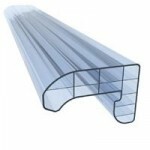 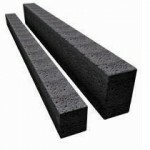 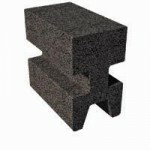 For correct installation the ends of the air cells in the panels must be heat-sealed to prevent soiling on the inside.